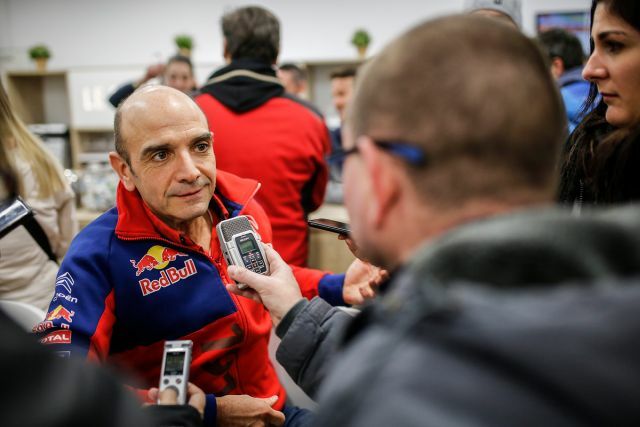 Tackling the last 13.58 kilometres of a Rallye Monte-Carlo held over some 324 kilometres with a lead of just four tenths of a second calls for one hell of a cool head. And never more so when your concentration has been somewhat disturbed by a throttle issue. With six world titles to their names, Sébastien Ogier and Julien Ingrassia have long since mastered the art of managing the pressure in this kind of situation and the adrenalin pumping through their systems, and they demonstrated it once again today. Second fastest on the final stage between La Cabanette and the Col de Braus, the Frenchmen sealed their seventh overall win and their sixth in a row in the Principality by just 2.2s, on their first competitive outing the C3 WRC! 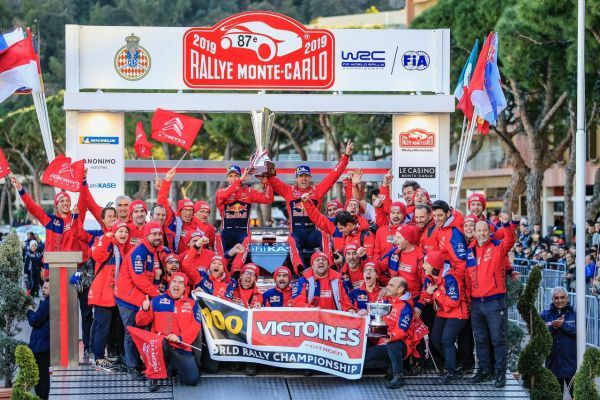 The result also means the pair now jointly hold of the record for the number of wins at this prestigious rally and confirms just how much Sébastien and Julien are already at one with their new car. 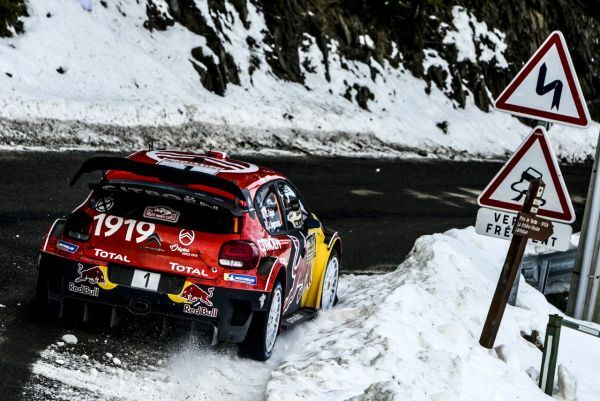 All too aware of the pitfalls invariably provided by Monte-Carlo, the French pair adopted a measured, intelligent approach from the outset, grabbing second position after Thursday’s opening two night stages. 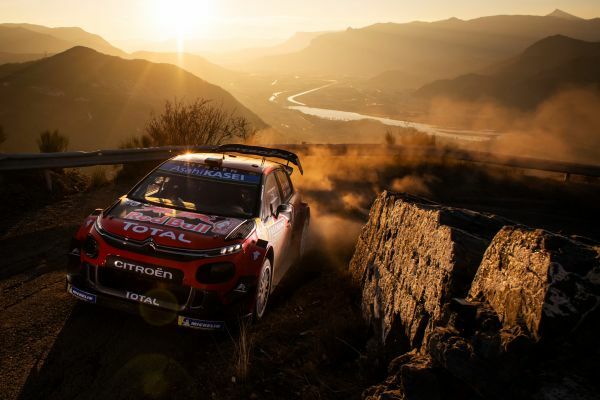 They then moved into the overall lead the following day in the afternoon (SS7), thanks in large part to two stage wins (SS5 and SS6) on Curbans – Piegut (18.47km) and Valdrome – Sigottier 2 (20.04km), both new stages this year. Having ended Friday’s leg with a narrow 2.0s lead, Sébastien and Julien managed to more than double their advantage on Agnières en Devoluy – Corps (29.82km), the opening speed test on Saturday and the longest of the weekend, and this despite the stage featuring plenty of ice. A lead that they managed for the rest of Saturday’s leg, meaning they began the final day 4.3s ahead of the second-placed crew. They traded blows with their closest challengers on Sunday’s short final leg before pipping them to victory in the last few hundred metres. “We certainly weren't taking anything for granted. The final leg, in particular, was really stressful and difficult with our minor throttle issue, which meant the car kept on accelerating, even under braking. We got some good advice from the team and were able to perform some makeshift repairs on the road section. We then pushed really hard and in the end, it worked out! It was an incredibly intense weekend. It was a non-stop battle, but we managed to come away with the win. Obviously, we’re very proud of this result in our first race with the C3 WRC, especially because, as I’ve often said, this rally is the one that is the most special for me. And it also means we can celebrate Citroën’s centenary in style. In other words, we couldn't have hoped for a better start on our first race back with the team!" Well, it certainly was a sensational win. I think, symbolically, it’s quite a big statement. It was extremely important for us to manage to secure this hundredth WRC win at the first round of the season, especially at such an iconic event as Rally Monte-Carlo and which is also held mainly in France. We’re also really pleased to add an eighth win to our joint record with Sébastien and Julien, in this, Citroën’s centenary year. When we decided to join forces again this year, we hoped to be able to add a few new pages to the history of the sport and our first race together couldn’t possibly have worked out any better. At a rally as crazy as this one, with tyre choice once again proving very difficult and really tricky road conditions, quite simply, they produced a majestic performance. Majestic in the control and calm they exuded. It's very interesting working with them, because there’s no standing on ceremony, they speak their minds and they know exactly what we need to focus on. They are helping us to make progress very quickly but it goes without saying that we’re going to need to keep working relentlessly. This opening round has clearly shown that this season is going to be closer than ever. In addition to Sébastien and Julien, who were obviously exceptional this weekend, I would like to pay tribute to the performance of all the members of the team. Their commitment has never wavered, even in our moments of doubt last year, and they have all put in countless hours of hard work so that we could make such a great start to our 2019 campaign. This result is obviously down to them as well! Because we had no intention of messing about! I think I aged a few years over the course of this morning’s loop of four stages, it was so tense. Once we were underway, we pushed really hard whilst not making any mistakes, which is pretty exceptional from Seb, really, on his first rally in the C3 WRC. And yet, once we passed the finish line, we didn’t know quite what to think. There wasn't much excitement at the stop control and then on the left, I saw Seb’s dad, who had a broad smile on his face. That was when I knew we’d won. Seb, however, didn't notice at the time, he had to look down to get confirmation. He realised we’d won and then there was quite a bit of emotion in the car."